Home Entertainment Wait, did LizQuen just confirm this ‘Alone/Together’ theory? 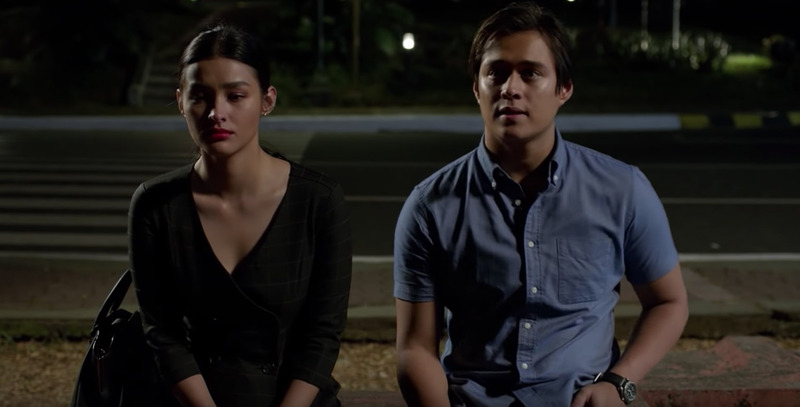 Ever since the teaser dropped for LizQuen’s upcoming flick ‘Alone/Together’, the Internet has been ablaze with insane fan theories regarding the fate of Enrique’s character, ‘Raf’. It started with one scene which saw Liza’s ‘Tin’, dressed in all-black, somberly reuniting with Raf at their old college hangout while Rivermaya’s 214 plays in the background. The dour tone was enough for fans to speculate about what happened to the two in the film’s 8-year time jump, with speculations ranging from hallucinations to deaths among others. In a new vid Black Sheep Studios, LizQuen finally reacted to said theories while seemingly confirming that there’s a hint of truth in one. And while the pair remained tight-lipped about the metaphor, Liza reacted: ‘Medyo…ano nga… I dunno how to explain it… malapit na.’ while chuckling and stealing glances at Quen.